In a city where over 40% of residents live below the poverty level, we all need a reason to smile. By joining us for Comedy for Crossover, you get lots of laughs, all while the proceeds uplift those in great need with free emergency food, clothing, personal hygiene items, household items, and more importantly, a smile knowing that others care enough to give them a helping hand! Along with lots of laughs, we’ll have a silent auction, raffle, appetizers, and a cash bar. 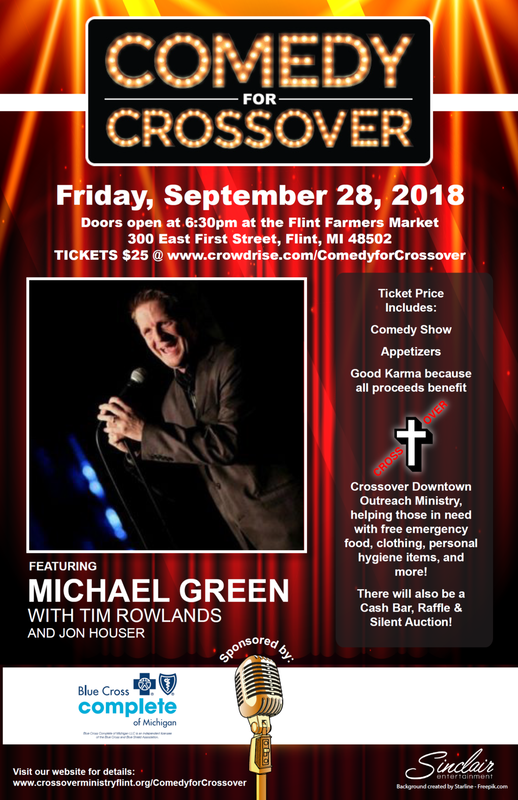 Get your tickets today for a fantastic Friday night Downtown Flint at the award winning Flint Farmers Market benefitting Crossover Downtown Outreach Ministry and, more importantly, those most in need in our community. Crossover is blessed to have such wonderful people helping uplift those in need! We were blessed to award our Friend of Crossover 2018 to Mrs. Ruth Thrash, and our Spirit of Crossover 2018 to the Eastern Michigan Hockey Association! Thank you and everyone who attended (or was unable to attend) for everything you do to uplift those in need here in Flint and Genesee County, MI. YOU ARE CROSSOVER and so many people have been blessed because of your loving support! We are in the process of giving out Thanksgiving boxes to families in need thanks to generous donors like YOU and our founding & supporting congregations and generous sponsors! You make programs like this possible! 100 families and 20 seniors/special needs adults will be blessed with Thanksgiving boxes thanks to you all! After 26 years of serving those less fortunate from our humble abode, we are embarking upon the building of a new Crossover. Our current location is well known as a beacon of hope to those struggling to provide food, clothing and more for themselves and their families. To that end, we are building the new Crossover right next door! The houses to our west were obtained and on May 24th, 2017, they were demolished to make way for our new building! We look forward to making this building project as much about mission as everything we do! We will remain open and serving our neighbors in need from our current building throughout construction. Once our new facility is complete, we'll move the contents and begin serving those less fortunate with the least possible disruption! ​Please check back for regular updates as we walk through this journey together. As Crossover embarks upon a new building, we joined together to celebrate our combined 26 year LEGACY of helping those in need here in Flint and Genesee County! YOU ARE CROSSOVER and so many people have been blessed because of your loving support! Click the link below to see pictures and learn more! FLINT (WJRT) - (07/01/16) - Renovations are underway at Baker College in Flint, but it's a construction project unlike others on campus. Construction crews are clearing out what's left inside a dorm building on the Baker College campus. Baker East is undergoing extensive renovations. Thirty-six suites are being gutted, but furniture and appliances that could have gone in the dump won't this time. 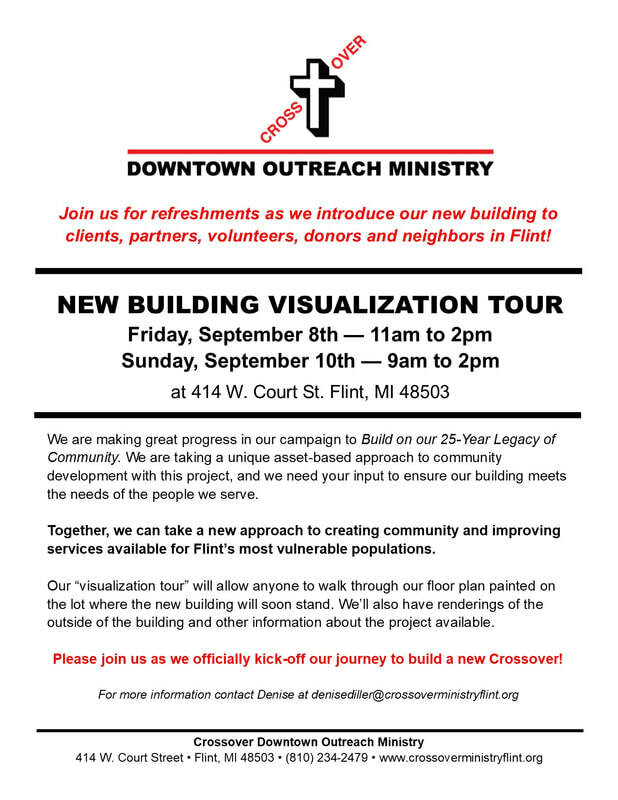 Crossover Downtown Outreach Ministry and Genesee County Habitat for Humanity will be taking all of the items to give the families they serve. There are 36 sets of bunk beds, desks, dressers, stoves and refrigerators. Truckload by truckload, the items have been disappearing from the lot. The last of it should be gone in the next few days. The college plans to do the same thing for any future projects on campus. ​Click HERE to see the story on ABC12! As Flint faces many challenges, hope is its driving force. 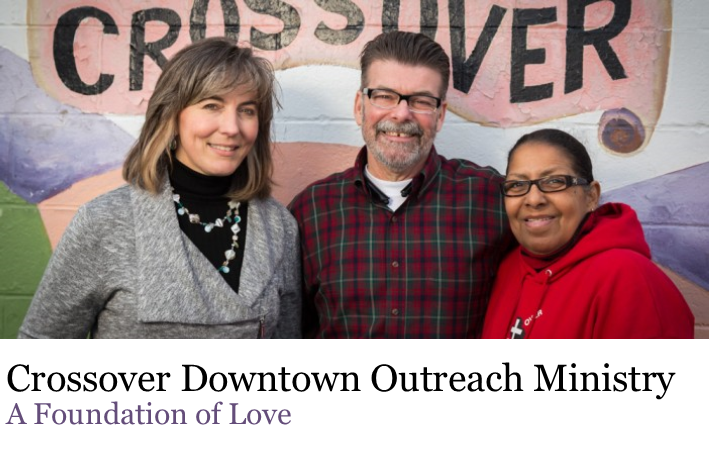 At Crossover Downtown Outreach Ministry, the goal is to give hope and be respectful and caring to those who cross their threshold, or anyone else who asks them for help. A faith-based, interdenominational mission, Crossover Downtown Outreach Ministry was established to provide free emergency food, clothing, household, personal items and youth programs to those most in need in the community. Crossover also provides faith-based services and programs aimed at restoring hope and rebuilding lives. CLICK HERE TO VIEW PICTURES @ MY CITY MAGAZINE! CLICK HERE to look back at Crossover's 25th Anniversary!